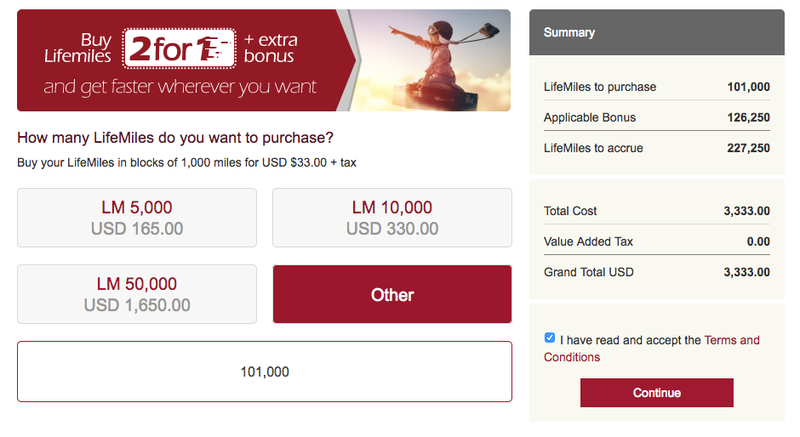 Avianca has brought back yet another great buy miles bonus. 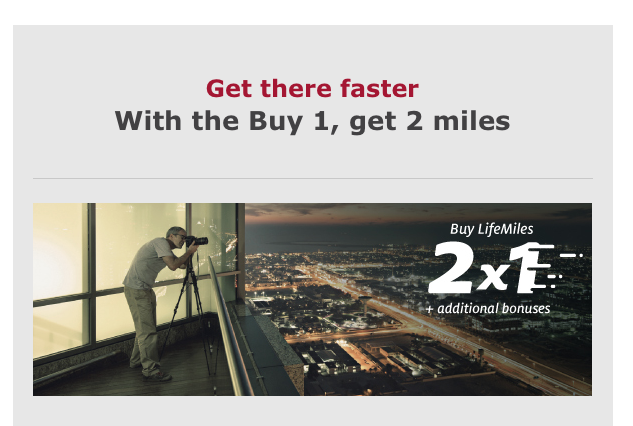 It is the standard offer of 100% bonus miles when buying at the lowest levels but they'll through in an additional 15% or 25% when you buy more miles. Some people are reporting even higher bonuses of 35% and those tend to be those who have purchased miles before. If you buy the 101,000 miles from Avianca at the 1.47 cents you will get 227,250 miles which means you can easily use 63,000 of them for the redemption above. Total cost for that one flight? Only about C$1,000 (assuming 1.37 exchange rate from USD). 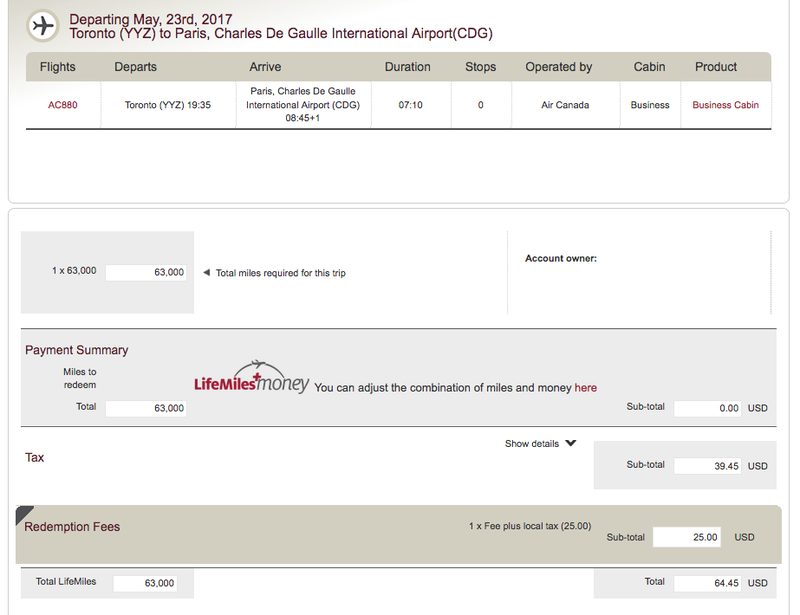 So you are saving $4,989 from what Air Canada is charging! You could actually get yourself three of these flights with the 227,250 miles and have just under 40,000 miles left. Now do you see why it can bee such a good deal? 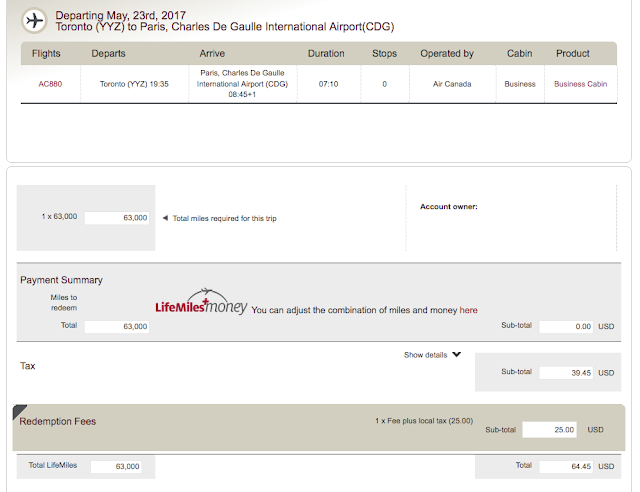 A little less miles than what Avianca charges but and it's a big but (a little Sir Mix-A-Lot for you), look at Aeroplan's fees! Nearly 5 times what Avianca charges! Find many more Avianca LifeMiles bonus offers here.